Performance & Concentration. Caffeine, Guarana, Taurine, Ginseng, Arginine and more. Gold Nutrition One Shot Energy is an energy drink in single dose format specially developed to take when the body needs extra energy input. 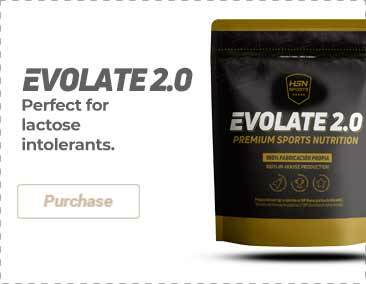 This blend is clinically tested for their ability to improve physical performance ingredients and mental focus during exercise. One Energy Shot includes Guarana, a plant that provides a caffeine slow release to maintain the stimulatory effect over an extended period of time. In combination with taurine and ginseng, not only it increases energy levels, but also alertness, concentration and responsiveness. It also includes Arginine, an amino-acid that promotes vasodilation to improve the blood flow or all our body. This increased blood flow is important because our muscles receive more oxygen, which leads to a greater amount of energy. It also includes a dose of B vitamins, which play an essential role in managing the body's energy. Choline is very important for fat breakdown and their conversion into energy, and it's also involved in the proper functioning of the nervous system. This product provides an optimal dose of magnesium. Magnesium is found in more than 300 different enzymes responsible for creating energy, proper formation of bones and teeth, and the relaxation of blood vessels in the transmission of nerve impulses, among others. One Energy Shot also contains glucuronolactone, a glucose metabolite that is created naturally in the human body. In addition to improving performance and increase energy levels, glucuronolactone has been proven to yield positive benefits in relation to liver and joint health. Water, magnesium citrate, guarana extract, taurine, l-arginine, acid (phosphoric acid), black currant concentrate, choline citrate, d-glucuronolactone, ginseng extract, preservatives (potassium sorbate and sodium benzoate), flavourings, sweeteners (sucralose and acelsufame K), nicotinamide, d-calcium pantothenate, pyridoxine cloridrato, pteroylmonoglutamic acid, cyanocobalamin. As a nutritional supplement, take 1 gel 30 - 45 minutes before training. If you train at night, drink the gel earlier to not disrupt sleep. Shake before drinking.